The proletarian party of East Bengal is the political party of the proletariat of East Bengal. The Proletarian Party of East Bengal is composed of the advanced elements of the East Bengal proletariat; it is a vigorous vanguard organization leading the proletariat and the revolutionary masses in the fight against national and class enemy. The Proletarian Party of East Bengal takes Marxism-Leninism-Mao Tse-tung Thought as the theoretical basis guiding its thinking. Mao Tse-tung Thought is Marxism-Leninism of the era in which imperialism is heading for total collapse and socialism is advancing to world-wide victory. For half a century now, in leading China’s great struggle for accomplishing the new-democratic revolution, in leading her great struggle for socialist revolution and socialist construction and in the great struggle of the contemporary international communist movement against imperialism, modern revisionism and the reactionaries of various countries, Comrade Mao Tse-tung has integrated the universal truth of Marxism-Leninism with the concrete practice of revolution, inherited, defended and developed Marxism-Leninism and has brought it to a higher and completely new stage. The program of the Proletarian party of East Bengal is to resolve basic contradictions that are responsible for the social development of East Bengal, and realize communism. National contradiction of East Bengal people with Pakistan colonial ruling regime. National contradiction of East Bengal people with US imperialist-led imperialism, Soviet social imperialism and Indian expansionism. Bourgeoisie versus working class contradiction. Among the above mentioned contradictions, the principal one is the national contradiction of East Bengal people with the Pakistan colonial ruling regime. The Pakistan colonial ruling regime that serves the interest of US imperialism and Soviet social imperialism, by depending on the traitors of East Bengal, the majority of the bureaucratic bourgeoisie and feudalists, have made East Bengal a colony and is exploiting and plundering her. East Bengal society, with its own rule of development, is advancing putting forward the aim of creating condition for the bourgeoisie development in East Bengal by ending foreign exploitation through national revolution, and overthrowing feudalism through democratic revolution. The aim of national revolution of East Bengal is to completely overthrow the Pakistan colonial ruling regime, their collaborator and supporter, the traitor bureaucratic bourgeoisie, feudalists, the US imperialist-led imperialism, Soviet social imperialism from East Bengal, to oppose Indian expansionism, to nationalize the properties of those except of the feudalists, and distribute land and properties of the feudalists to agricultural workers and poor peasants. The aim of democratic revolution of East Bengal is to completely overthrow feudalism and distribute land and properties of the feudalists to agricultural workers and poor peasants, to overthrow those feudalists who are against national interest in the course of national revolution, reduce exploitation of pro-national revolution feudalists, let them keep their existence and finally step by step complete democratic revolution by distributing their land too by giving them proper compensation. The present character of social revolution of East Bengal is national and democratic, that is, national democratic. National and democratic revolutions are interconnected and dependent to each other. National democratic revolution of East Bengal can only be completed through armed national liberation war. This is protracted and ruthless war. It can only be directed and completed through applying strategy and tactics of people’s war. The present form of people’s war of national liberation is to initiate and direct guerrilla war in vast rural areas of East Bengal through annihilation of national enemies who are the eyes and ears of the collaborators and supporters of Pakistan colonial ruling regime. In the course of guerrilla war initiated and directed through national enemy annihilation, masses of people can be aroused, organized and their strength can be applied against enemies, party cadres and guerrillas learn war in the course of war, are tempered in revolutionary practice, arms are collected, funds are raised, organization develops and consolidates, villages are freed from national enemies and political power can be established there. In this way, we become able to seize rural areas, establish base there, encircle cities, forge regular army from guerrilla army, raise guerrilla war to mobile war, make war protracted, break the morale of enemy, weaken their strength and gain domestic and international support. As a result of overthrow of the traitor feudalists in the course of guerrilla war initiated through national enemy annihilation and reducing exploitation of pro-national liberation feudalists, workers-peasants alliance develops and strengthens. By uniting patriotic people on the basis of this firm alliance, national liberation front can be formed, sustained and developed. The whole party must put in action these political, military and united front lines of national democratic revolution that have been proven correct in the fire of revolutionary practice of East Bengal society. By taking the opportunity of the great struggle of East Bengal people against the exploitation and plunder of the Pakistani colonial ruling regime, a section of the bureaucratic bourgeoisie and feudalists of East Bengal, with the help of Indian expansionism, US imperialism, Soviet social imperialism, is trying to seize East Bengal and establish exploitation and plunder of six mountains—the US imperialism, Soviet social imperialism, Indian bureaucratic capitalism, Indian feudalism, East Bengal bureaucratic capitalism and East Bengal feudalism. The East Bengal bourgeoisie is connected to imperialism, social imperialism and feudalism in hundreds of bonds, is weak as class and vacillating. Many of them have merged with the effort of establishing exploitation of six mountains of bureaucratic capitalists and feudalists. This is why they are not able to carry and accomplish national democratic revolution of East Bengal. Therefore, only the proletariat is able to carry and accomplish national democratic revolution of East Bengal. Under the leadership of proletariat, this revolution will be new democratic revolution. Its conclusion will be to resolve the contradiction of bourgeoisie versus working class through carrying and completing socialist revolution and finally realize communism. This is part of world revolution. In order to establish Proletarian Party of East Bengal, proletarian revolutionaries of East Bengal are repeatedly struggling against different forms of revisionist traitors. Inspired and guided with chairman Mao Tse-tung-led great struggle of world revolutionaries in international communist movement of present era against modern revisionism and reactionaries of different countries, proletarian revolutionaries of East Bengal rebelled against Moni Singh-Mozaffar revisionists. Taking the opportunity of that great struggle, Huq-Toha neo-revisionist traitor clique formed Marxist-Leninist bourgeoisie faction and opposed red flag by hoisting red flag. By taking anti-neo revisionist struggle of common proletarian revolutionaries as an opportunity, Deben-Motin Trotskyte-Gueverists and Kazi-Rono conspirators formed different bourgeoisie factions in the name of organization of proletariat. These different forms of revisionists regularly betrayed with proletarian class and people and misguided them. With the objective of establishing a genuine political party of proletariat of East Bengal, the proletarian revolutionaries of East Bengal established the East Bengal Workers Movement on 8 January, 1968 and both theoretically and practically, carried great struggle in the field of politics, organization, military and ideology against different forms of revisionists. 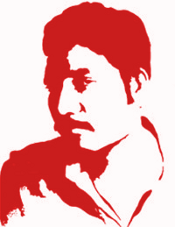 Within only three and half years of time, the East Bengal Workers Movement has become able to successfully integrate universal truth of Marxism-Leninism-Mao Tse-tung thought to the concrete practice of revolution of East Bengal and achieved great victory in political, organizational, military and ideological field theoretically and politically against different forms of revisionists. Amidst the roaring artillery fire of Pakistani colonial military fascists, within a short span of time, led by East Bengal Workers Movement, in different districts of East Bengal, guerrilla fronts developed and for the first time in the history of East Bengal, armed national liberation army and national liberation front developed under the absolute leadership of proletariat; at the same time, party cadres and guerrillas have further matured by combining theory with practice. Thus, proper condition for establishing political party of proletarian class of East Bengal has been created. The whole party must hold high the great red banner of Marxism-Leninism-Mao Tse-tung Thought, constantly integrate correct ideological, political, organizational and military line of party with practice, carry struggle inside and outside party against different forms of revisionism and petit bourgeoisie ideology and its manifestations, keep continuing armed national liberation struggle and forging national liberation front to unify the whole nation. In this way, proletarian party of East Bengal, and under its leadership, national liberation army and national liberation front have to be developed. Under the condition of absolute fascist atrocities of Pakistan colonial ruling regime, party will function secretly. In guerrilla region too, party will work secretly. Only in base areas, party is able to function openly. The Proletarian Party of East Bengal upholds proletarian internationalism; it firmly unites with the genuine Marxist-Leninist Parties and groups the world over, unites with the proletariat, the oppressed people and nations of the whole world and fights together with them to overthrow imperialism headed by the United States, modern revisionism with the Soviet revisionist renegade clique as its center and the reactionaries of all countries, and to abolish the system of exploitation of man by man over the globe, so that all mankind will be emancipated. Members of the Proletarian Party of East Bengal, who dedicate their lives to the struggle for communism, must be resolute, fear no sacrifice and surmount every difficulty to win victory! Article 1 Any East Bengal worker, poor peasant, lower-middle peasant, revolutionary armyman or any other revolutionary element who has reached the age of eighteen and who accepts the Constitution of the Party, joins a Party organization and works actively in it, carries out the Party’s decisions, observes Party discipline and pays membership dues may become a member of the Proletarian Party of East Bengal. Article 2 Applicants for Party membership must go through the procedure for admission individually. An applicant must be recommended by a Party member, fill out an application form for Party membership and be examined by a Party branch, which must seek the opinions of the broad masses inside and outside the Party. His cadre history must be collected. Application is subject to acceptance by the general membership meeting of the Party branch and approval by the next higher Party committee. (5) Be bold in making criticism and self-criticism. Article 4 When Party members violate Party discipline, the Party organizations at the levels concerned shall, within their functions and powers and on the merits of each case, take appropriate disciplinary measures—warning, serious warning, removal from posts in the Party, placing on probation within the Party, or expulsion from the Party. The period for which a Party member is placed on probation shall not exceed one year. During this period, he has no right to vote or elect or be elected. A Party member who becomes politically apathetic and makes no change despite education should be persuaded to withdraw from the Party. When a Party member asks to withdraw from the Party, the Party branch concerned shall, with the approval of its general membership meeting, remove his name from the Party rolls and report the matter to the next higher Party committee for the record. When necessary, this should be made public to the masses outside the Party. Proven renegades, enemy agents, absolutely unrepentant persons in power taking the capitalist road, degenerates and alien-class elements must be cleared out of the Party and not be re-admitted. Article 5 The organizational principle of the Party is democratic centralism. The leading bodies of the Party at all levels are elected through democratic consultation. The whole Party must observe unified discipline: The individual is subordinate to the organization, the minority is subordinate to the majority, the lower level is subordinate to the higher level, and the entire Party is subordinate to the Central Committee. Leading bodies of the Party at all levels shall regularly report on their work to congresses or general membership meetings, constantly listen to the opinions of the masses both inside and outside the Party and accept their supervision. Party members have the right to criticize Party organizations and leading members at all levels and make proposals to them. If a Party member holds different views with regard to the decisions or directives of the Party organizations, he is allowed to reserve his views and has the right to bypass the immediate leadership and report directly to higher levels, up to and including the Central Committee and the Chairman of the Central Committee. It is essential to create a political situation in which there are both centralism and democracy, both discipline and freedom, both unity of will and personal ease of mind and liveliness. The People’s Liberation Army, the Communist Youth League, study circles and other revolutionary mass organizations, such as those of the workers, the poor and lower-middle peasants must all accept the leadership of the Party. Article 6 The highest leading body of the Party is the National Party Congress and, when it is not in session, the Central Committee elected by it. The leading bodies of Party organizations in the localities, in army units and in various departments are tile Party congresses or general membership meetings at their respective levels and the Party committees elected by them. Party congresses at all levels are convened by Party committees at their respective levels. The convening of Party congresses in the localities and army units and their elected Party committee members are subject to approval by the higher Party organizations. Article 7 Party committees at all levels shall set up their working bodies or dispatch their representative organs in accordance with the principles of centralized leadership, close ties with the masses and simple and efficient structure. Article 8 The National Party Congress shall be convened every three years. Under special circumstances, it may be convened before its due date or postponed. Article 9 The plenary session of the Central Committee of the Party elects the Standing Committee of the Central Committee and the Chairman and Vice-Chairman of the Central Committee. When the Central Committee is not in plenary session, its Standing Committee exercises the functions and powers of the Central Committee. The plenary session of the Central Committee of the Party is convened by the Standing Committee of the Central Committee. When both the Central Committee and the Standing Committee are not in plenary session, the Chairman of Central Committee will exercises the functions of the Central Committee. The Chairman of the Central Committee will guide the Standing Committee, Central Committee and other leading cadres, to set up a number of necessary organs, which are compact and efficient, to attend to the day-to-day work of the Party, the army and party led different organizations in a centralized way. Article 10 Local Party congresses at the regional, front, district level and upwards shall be convened every one and half years. Under special circumstances, they may be convened before their due date or postponed. Party committees at all levels in the localities elect their secretaries and deputy secretaries and if necessary standing committees. Article 11 In general, Party branches are formed (comprised of nine to nineteen members or more) in factories, mines and other industrial enterprises, offices, schools, shops, neighbourhoods, platoons of the National Liberation Army and other primary units. Party group may be set up where there is relatively small membership; if there is no member, party representative can be appointed; general Party branches or primary Party committees may also be set up where there is a relatively large membership or where the revolutionary struggle requires. Primary Party organizations shall hold elections once a year. Under special circumstances, the election may take place before its due date or be postponed. (2) To constantly and resolutely lead the Party members and the broad revolutionary masses in National Liberation War as the main form of struggle and develop National Liberation Army as the main form of organization. (3) To unify all the patriotic people on the basis of workers-peasants alliance, forge national liberation front, develop and consolidate it.